They have value to the Big Ten because they allow other schools easier access to fertile southern recruiting hotbeds. They have value to smaller college programs because they give them easy access to players who think they have elite talent but may be a better fit at a second-tier program. They have value to high school athletes because they basically allow an audition – if not a tryout – before coaches in attendance at very little cost. Not only are the satellite camp fees generally cheap for athletes, they also cut down on travel. It might not make a difference to a four-star prospect with funds, but for an under-the-radar player or one with tight finances, a satellite camp would be a Godsend. 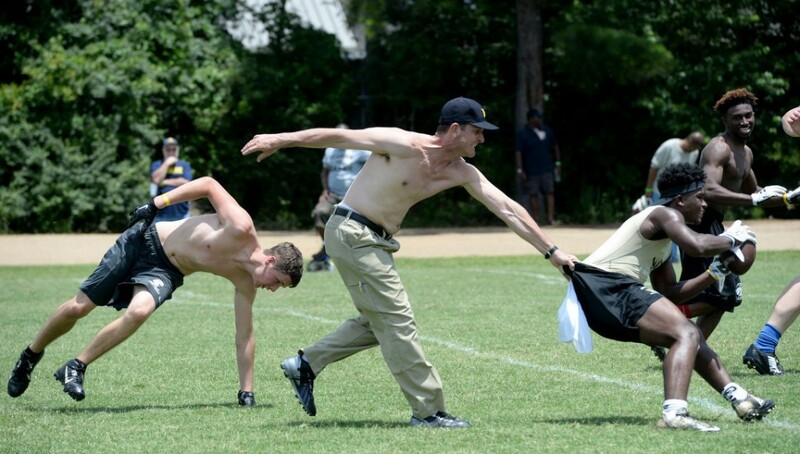 Harbaugh lost the war but remains a clear-cut winner. His off-the-wall ideas – remember spring practice in Florida? – have continued to create offseason controversy while garnering Michigan headlines. The SEC won this round. Yet Harbaugh continues to be in the head of 14 SEC head coaches. Heads will explode when he returns Michigan to equal footing with the SEC’s heavyweights. That will happen soon. Until then, the question remains: Was this a stand worth taking for the SEC?